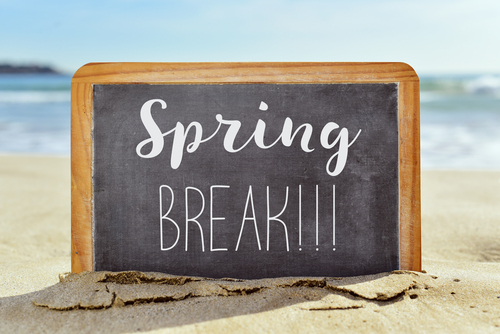 If you’ve made it this far into the year without a vacation, then you owe it to yourself to take a trip over Spring Break. Spring Break is a perfect time to kick back and relax, and there’s plenty of places around the country that can help you do just that. But what if you don’t think you have the money to take a trip? Lucky for you, we’ve gathered 5 of the best travel tips to keep your bank account from breaking while cutting loose over Spring Break. Ah, the eternal question. There’s a lot of factors that go into this decision: the distance involved, the condition of your car, how much mileage the trip will put on your car, how many people are going, and if there’s even an airport near where you’re going, to name just a few. In general, our rule of thumb is that it isn’t cost effective to fly anywhere that is closer than four hours away by car. If you want to know exactly which option will cost the least money though, your best option is to use one of the several online calculators that calculate the distance involved and the time of year to let you know which is the cheaper option. If you do decide to fly, there are a lot of ways to save money on your ticket. Frequent flyer miles are your best bet, but so is knowing when to buy. Plane tickets can fluctuate wildly in cost depending on when you buy them. Once you know where you’re going, you should start keeping an eye how much the ticket you want costs. If you are vigilant, you can take advantage of sales and promotions that could save you as much as 50% off the cost of your flight. A lot of credit cards have cash back and reward deals on gas, plane tickets, and hotels that can make your trip significantly cheaper. You should never go into debt because of a vacation, but knowing when and what to use your credit cards for can help you accumulate some money saving points for future travel. Before you start planning your vacation, research what deals and rewards your cards offer, and plan accordingly. Hotels vary greatly, from cheap and unpleasant to expensive and opulent. When planning a vacation on a budget, you need to determine how low on that spectrum you are willing to go. There’s a third option though, that won’t force you to choose: stay with friends. While none of us like to impose, as long as you’re only staying a couple days and make an effort to be a respectful guest, there’s no reason you can’t save a fair amount of cash by staying in the home of a friend near where you’re vacationing. This one is a bit of a cheat, but traveling for Spring Break simply isn’t feasible for all of us. And the simple fact is, staying at home will always be cheaper than traveling. A staycation doesn’t have to be boring: you can visit local sites of interest or catch up on a show or book you can’t ever seem to find time to get through. Vacations are supposed to be relaxing and sometimes staying home accomplishes that goal better than traveling somewhere else. If when you get back from your vacation you find yourself hit by an unexpected expense or cash emergency, but are a little light in the pocket, the fast and easy way to bounce back is a car title loan. Car title loans leverage your car’s title as collateral for a loan. It’s fast and convenient and you can get started right now by filling out a simple online request form.